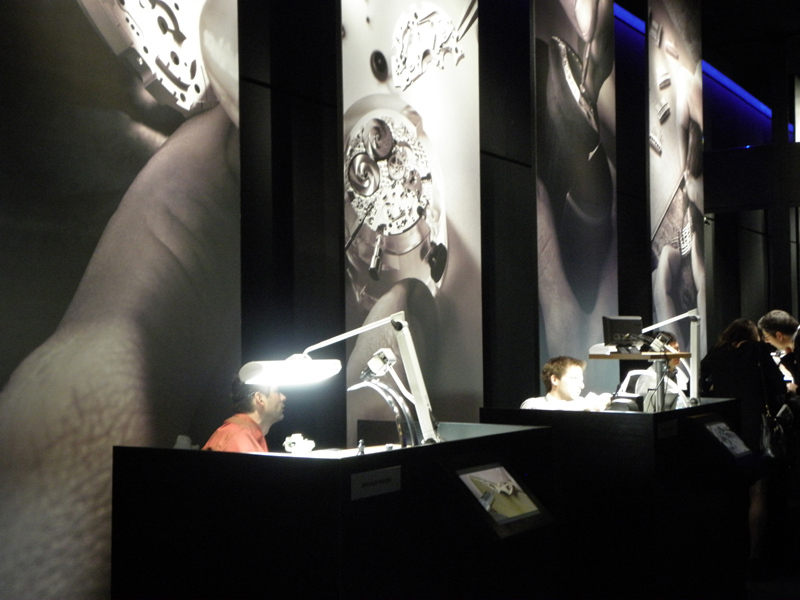 The Montblanc exhibit at last year’s SIHH. You may have noticed that this week we brought you a lot of cool new watches just arriving in retail stores. That’s because we wanted to temper next week’s coverage of hot new watches being unveiled at the SIHH Show—to which we now embark on our annual journey. The watches introduced at the SIHH – Salon International de la Haute Horologerie – are guaranteed to be exciting eye catchers – but won’t make their way to stores for at least another 4-6 months—with some taking even longer than that. 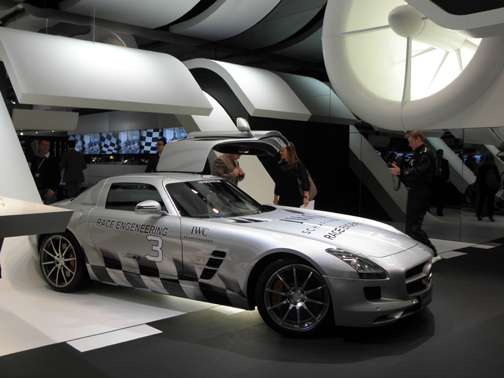 In 2013, IWC recreated its world of auto involvement at the SIHH. The show is unparalleled in the scope of the exhibits – some that are transformed from “rooms” in a hall to entire worlds that reflect the brand’s positioning or philosophy. With this being the year of the Aquatimer for IWC, we expect to see oceans and islands recreated by the brand – and can’t wait to bring you pictures – not just of the exhibits but also of the great new timepieces. Before that, though, we travel with Cartier to Paris to witness the amazing exhibition of rare works the brand has on display at the Grand Palais. We will bring you news of that exhibit, as well. 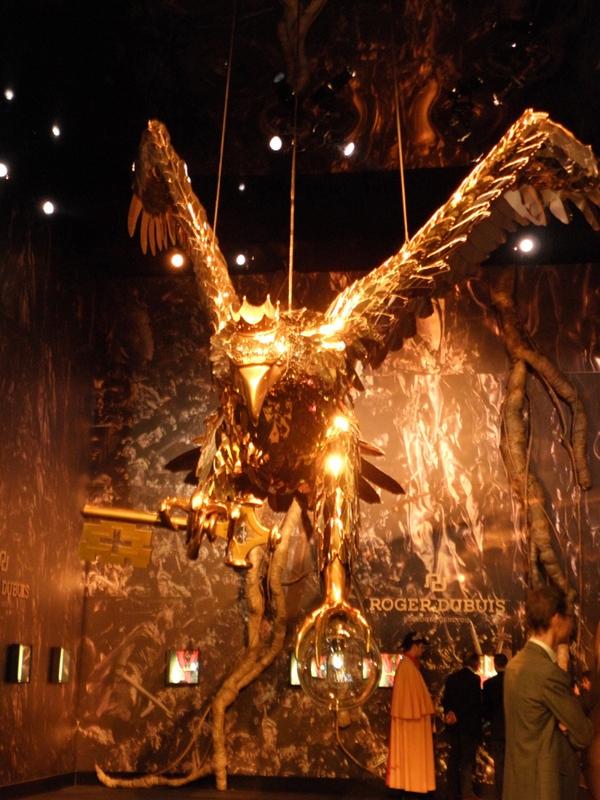 Roger Dubuis reinforced the fact that its watches are 100 percent Poincon de Geneve by building a gold statue of a falcon (which appears on the seal) in 2013. The luxurious SIHH exhibition is the 24th of its kind. It is sponsored by the Fondation de la Haute Horlogerie (FH) and the Richemont brands, with the exhibitors being among the finest in the world of watchmaking: A. Lange & Sohne; Baume & Mercier; Cartier; IWC; Jaeger-LeCoultre; Montblanc; Officine Panerai; Piaget; Ralph Lauren, Roger Dubuis; Vacheron Constantin; Van Cleef &Arpels, Parmigiani Fleurier, Greubel Forsey, Richard Mille and Audemars Piguet. ← Exactly what is the Poincon de Genève? And is the same as the Geneva Seal?